Elevate your island hopping experience by navigating the Mediterranean waters on a luxury superyacht to the Balearics. From sunny Palma de Mallorca to the coveted atmosphere of Ibiza, experience the Spanish islands the way they were meant to be enjoyed—with an air of indulgence and a hint of extravagance. With secluded beaches and private anchorages, enjoy a reprieve from the bustle of city life while exploring the historic medieval landmarks or visiting the lush, undeveloped lands of the UNESCO Biosphere Reserve. 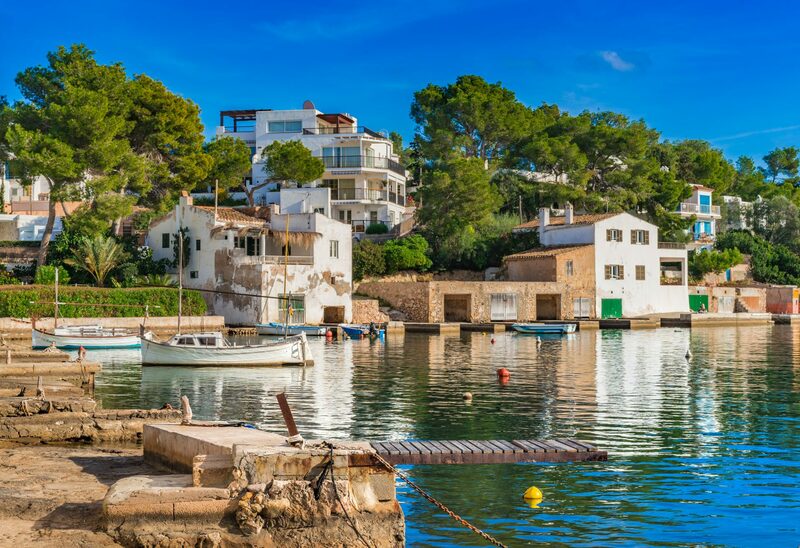 If you crave excitement, the Balearics are far from lacking with an abundance of decadent Spanish cuisine, including fresh seafood, and their famed sleepless nightlife. History meets resort life in Palma as the city’s rich history is evident in Palma’s old town filled with ancient passages and architectural diversity reminiscent of Moors, Romans and Talayotic people. Visit the city’s iconic Santa Maria cathedral and explore the Cuevas del Drach (Caves of the Dragon) at Porto Cristo, an incredible underground lake. Once Spain’s Alcatraz, Cabrera is now a protected national park being one of the few uninhabited islands. Having only one anchorage and requiring a permit to go ashore, the island is off the beaten tourist path—and you will feel it. Be reminded of a simpler time and enjoy the rare tranquility the island offers as you hike its trails or search the surface of the sea for signs of dolphins. Complete your day with dinner at sunset and then make way for a night crossing to Formentera. Escape to Formentera, often referred to as Ibiza’s “little” or “hippy” sister. Here, the beauty Ibiza is known for, white sandy beaches and dazzling turquoise waters, can be enjoyed, however, in a much more relaxed atmosphere. Filled with secluded beaches fringed by palms and quaint towns, escape the hustle and bustle of everyday life at Formentera. Es Pujols is known for incredible local cuisine so enjoy a lunch of fish soup and grilled seafood. Ibiza—the name instantly spurs thoughts of endless, music-fueled, liquor-lubricated nights, for those who’ve heard of the island—and everyone has. Famous for its high energy fiestas, Ibiza has hosted some of the world’s top DJs and musical talent during its summer months. However, if its club hub status doesn’t appeal to you, Ibiza will surprise you with its hidden treasures. Take a day off and discover the Cueva de Es Cuieram, an ancient Greek temple hidden inside a cave, or drawings from the Bronze Age at Ses Fontanellas. When you’re in need of reenergizing from Ibiza, pop over to Cala Portinatx, located at the north end of the island. A secluded port with pristine beaches it’s almost impossible not to relax and soak in the Mediterranean sun. If you’re feeling more adventurous, use your yacht’s scuba diving or snorkeling gear to explore the world beneath the sea as Cala Portinatx is favorite amongst snorkelers and scuba divers. The marina Puerto Portals has quickly risen as a shining star of the Mediterranean. With a full range of luxury amenities, it is an excellent location for a day of shopping and an evening of wining and dining. Tristan restaurant overlooks the marina and boasts a wine cellar that rivals some of Europe’s best. On your final day, a short cruise will take you back to Palma. Disembark and spend the morning strolling the city’s medieval streets, trying to remember the tiny shops you promised yourself you’d go back to when you returned. Stop for lunch at the delectable Simply Fosh for one last taste of the Balearics before you depart.